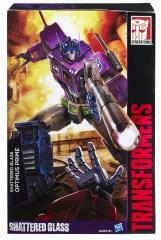 In the Transformers Shattered Glass universe, Cybertron is a dark and different place. The Decepticons fight to save Earth from being destroyed by the ultimate army of destruction … Optimus Prime and the Autobots. Once a simple librarian named Optronix, the deranged warrior now known as Optimus Prime plotted his way to power on Cybertron. 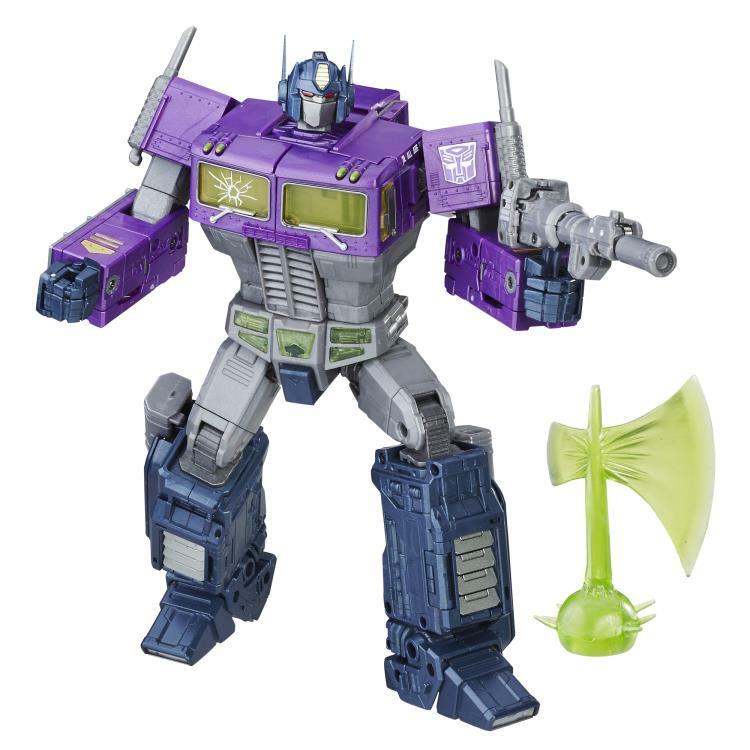 Unless the heroic defender Megatron and his scrappy, rebel band of Decepticons can find a way to stop him, Optimus Prime will continue his fight till all are gone. 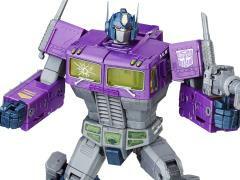 This platinum edition Transformers Shattered Glass Optimus Prime figure depicts Optimus Prime as he appears in that twisted Shattered Glass universe. 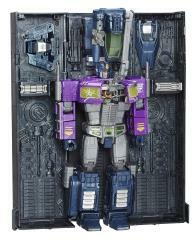 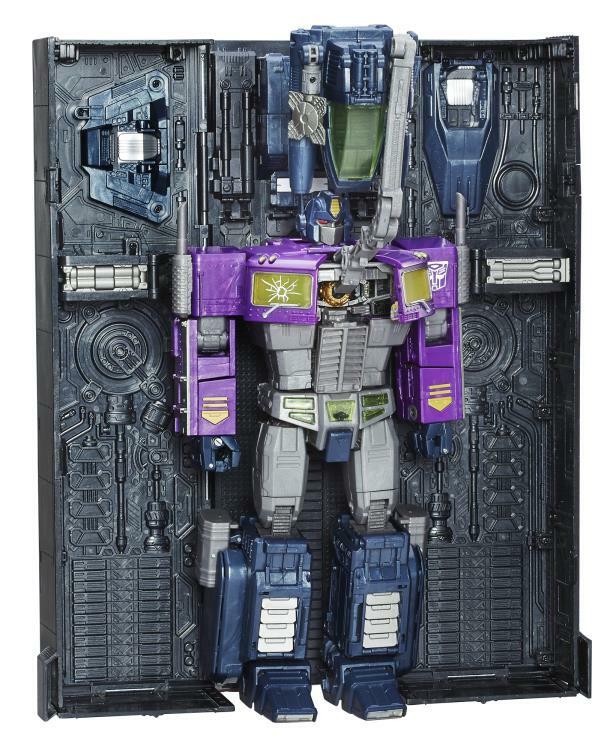 The figure features purple armor, a windshield panel designed to appear cracked, and advanced conversion. 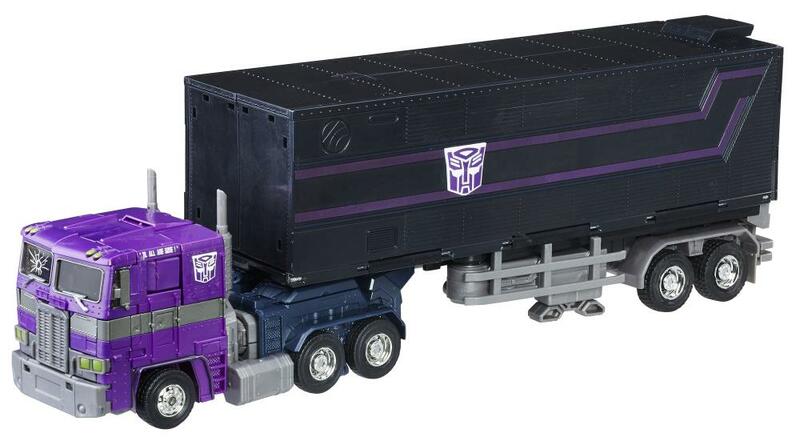 Convert this Transformers Shattered Glass Optimus Prime figure from robot to tractor-trailer mode in 21 steps. 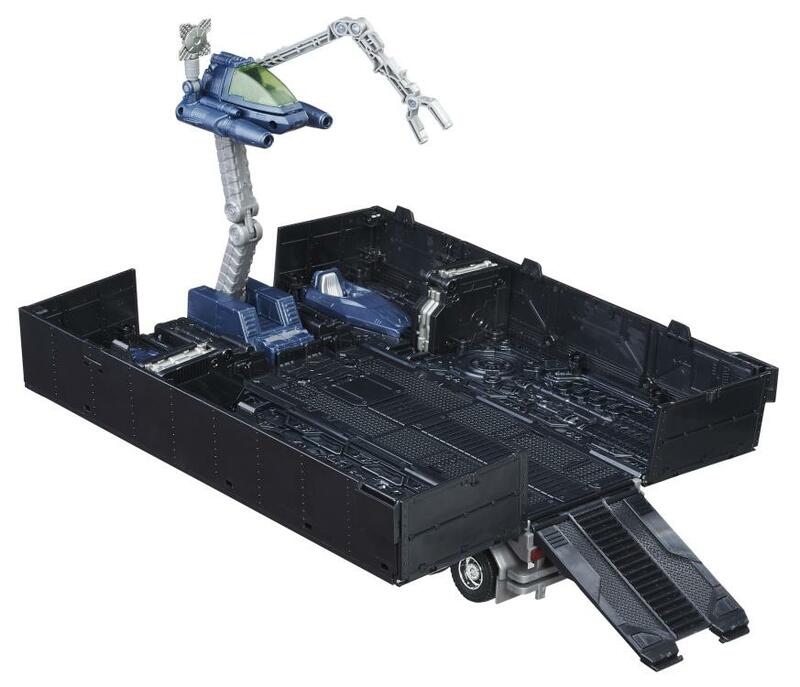 The pack also includes an Energon axe accessory (depicting the signature weapon of Optimus Prime), a Matrix of Leadership accessory, a blaster, and a trailer that converts to a combination combat deck/repair bay.